This Broccoli Rice Casserole post is sponsored by Foster Farms. The opinions stated are my own. Thank you for supporting the brands that keep Posh Journal cooking. I want quick wins in the kitchen, especially with small children. The casseroles I grew up eating are incredibly satisfying, but these days I’m looking well beyond taste and comfort at the dinner table. I want our food to be nutritious and safe, and I’m always concerned with sustainability. I am a label checker, and want to know exactly where my food has been from farm to table. I use fresh, locally sourced, and minimally processed foods whenever I can. 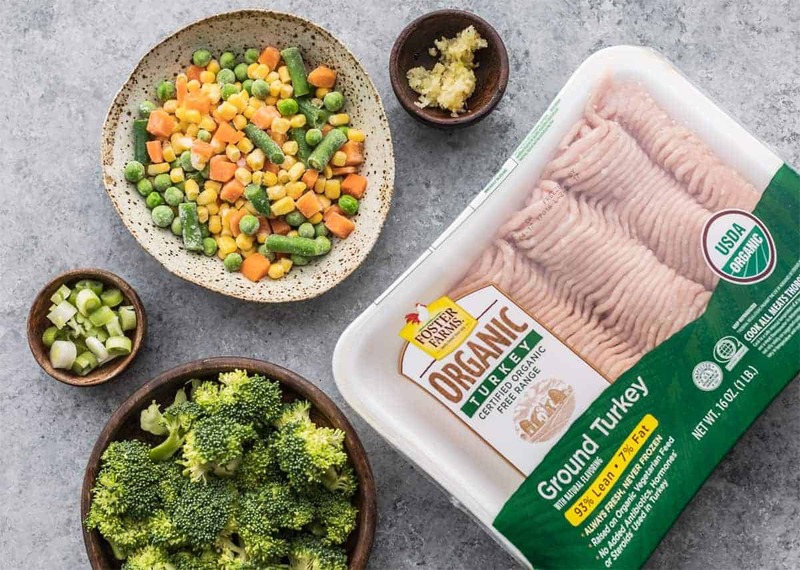 I choose Foster Farms Organic Ground Turkey because they are committed to organic, sustainable farming. Foster Farms products are grown locally, in California’s Central Valley. Their turkeys are raised free-range on organic land and fed an organic diet! They never use antibiotics, hormones, or steroids. You can taste the quality of their food reflected in the flavor. Every bite is a delicious source of lean protein. 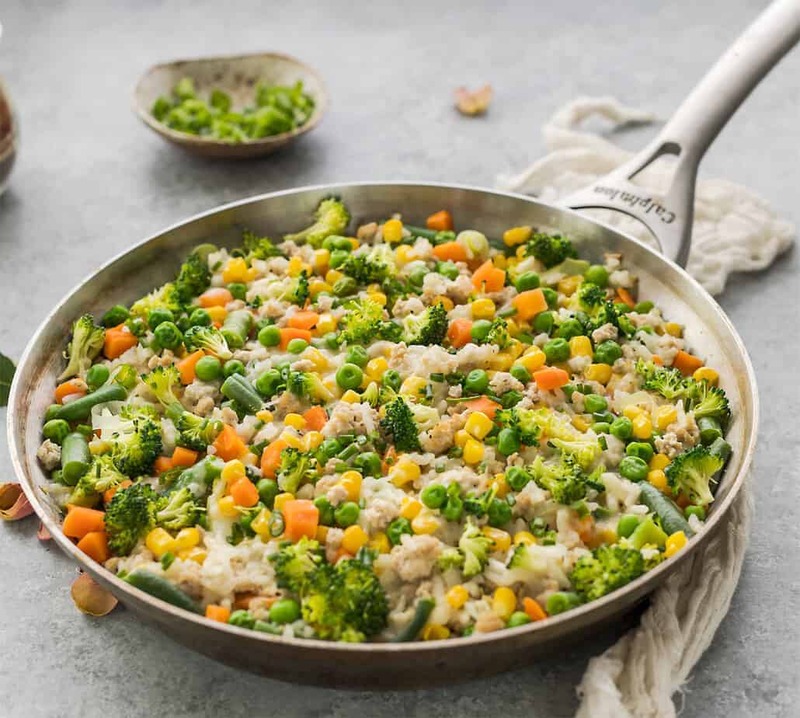 My recipe for Broccoli Rice Casserole with Ground Turkey is an easy weeknight dinner that even the little ones will love. You can swap out the broccoli for any frozen vegetables, and sometimes we use cheddar instead of mozzarella for a little tang. Add garlic and stir until fragrant. Add ground turkey and cook until browned. Add uncooked rice and chicken broth. Turn the heat to medium-low, and cook for about 15-20 minutes or until the rice is cooked. Mix in the frozen vegetables, broccoli and the cream of mushroom into a skillet, stir well for about 3 minutes. Top with cheese, cook in the oven until the cheese is melted. Serve with chopped green onions. I have to give this a try. A recipe like this is perfect for those extra busy weeks. I need to make one dish and then we can have it for a couple of days. That dish is something I’d really enjoy. I love mixed vegetables so I’m sure I’d love this recipe. This meal looks like a very healthy dish to serve up! I love that it is gluten free too! I am always looking for Organic options. This looks so delicious and easy to make. I will have to give it a try this weekend. Rice is always a hit in my house. I would love to give Foster Farms a try. I’m also all about eating healthy and nutritious food, so I am always on the look out for new recipes to try. Thanks for sharing this. This broccoli rice casserole with organic ground turkey sound awesome. We have been trying to eat healthier so this would be a perfect dish for us. I haven’t used ground turkey in a dish for a while so this will be something new. Thanks for sharing the recipe. This looks so good. This is something my girls would definitely enjoy. They love their veggies a lot. Brocolli gives a lot of gas but we love eating it. I have never made this kind of casserole but it looks great! This looks so delicious! My daughter and I love broccoli rice casserole. I prefer ground turkey, so this would be perfect for us. Yeah, a healthy casserole recipe. So many have so much fat. So glad to have found one that’s healthy and tasty. Oh, my goodness! Looks really yummy and healthy. I would love to try this recipe for sure. Thanks for sharing! This is screaming delicious!! I love how fresh and healthy it looks. I wonder how this would turn out with shredded chicken? Looks like a filling and healthy dish that can be put together pretty quickly, we will be giving it a try. 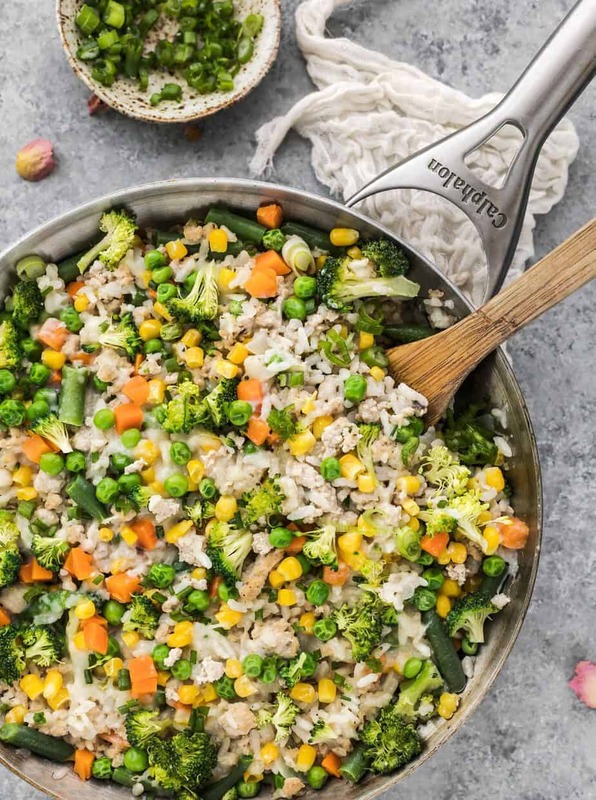 This broccoli and rice casserole is much prettier than mine! LOL! Great recipe! All my favorites in one recipe! Yummy! And you gotta love the fact that it is healthy! Thanks for this! This dish was a perfection, Rika. Delicious and healthy is something I always appreciate. Yum, yum, yum! This looks incredible! And I love that it all cooks in one pan! I love that you have adapted comfort foods from your childhood into healthier options for your own family. I think in a super size world this is so important.I also love how simple this recipe is because, as you well know, being a busy mom and cooking in the kitchen for hours on end, really is a bummer. Pinning for later!